Art Sherman has further heated up expectation going into Saturday's Pegasus World Cup by predicting fans will see "a different horse" to the one who succumbed to Arrogate in the final strides of the Breeders' Cup Classic. The Santa Anita principals have each gained trophies in recent days, with California Chrome being named America's overall 2016 Eclipse Awards champion before losing out to Arrogate in the tussle to be crowned last year's Longines World's Best Racehorse. This weekend at Gulfstream Park, in the inaugural running of what becomes the world's most valuable race with $12 million in the pot, they meet again in what will be the final contest California Chrome competes in before retirement to stud. His chances were not boosted earlier this week when he landed the widest stall 12, while Arrogate will start from the rail in box one, but the fact the Pegasus is being run over 1m1f, a furlong less than the Classic, is encouraging Sherman - as is his superstar's condition. "I think he's going to be a little bit more focused this time," said Sherman, quoted on bloodhorse.com. "It's a little shorter distance and the stretch is a little shorter. 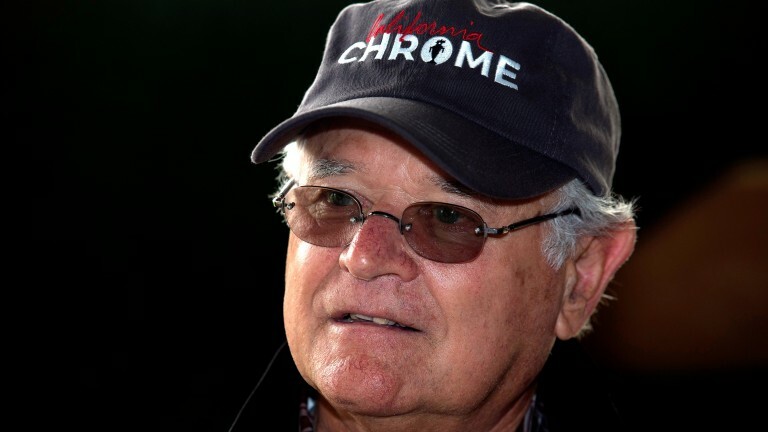 With Chrome, you have tactical speed, so if he's turning for home and in a position to open up, I think you're going to see a different horse." Looking forward to the second meeting of the two horses, Arrogate's jockey Mike Smith said "it took an unbelievable effort" to beat California Chrome at the Breeders' Cup, adding: "And it's going to take another one here on Saturday." After the Florida showdown Arrogate will be rested and will not be asked to run in the Dubai World Cup, according to trainer Bob Baffert, who at the Longines event on Tuesday confirmed Khalid Abdullah's champion will have his season geared around successfully defending the Classic, this time being staged at Del Mar.